I cannot help but thinking of how divisive things are these days. It is easy for each of us to exist within our individual world view and surround ourselves with those who agree with us. So much of this is reinforced online where we curate our own customized echo chambers. If I could inspire a movement it would be one that connects people of different backgrounds together in real space. Last summer, I spent time helping to reopen a small cinema in rural Mackay, Idaho. This was a community that had as much trouble fathoming my daily life as I did theirs. We were not politically aligned. Still, we worked together on this movie theater and along the way talked about absolutely everything. This experience left me with a complicated understanding of a community that I previously only had a two-dimensional view of. I found it tremendously enlightening. It is an experience I would wish for everyone. As a part of my series about leaders helping to make Film and TV more representative of the US population, I had the distinct pleasure of interviewing Sean Weiner. Sean is a NY-based producer, filmmaker, and the director of Creative Culture: Fellowship & Residency programs at the Jacob Burns Film Center. He is also a professor of Film and Media Studies at SUNY Purchase College. His producing credits include Death Metal Grandma (NYTimes Op Docs, SXSW, Hot Docs), Nevada (Sundance, New Orleans FF), and Edgecombe (Sundance, BAMcinemaFest). 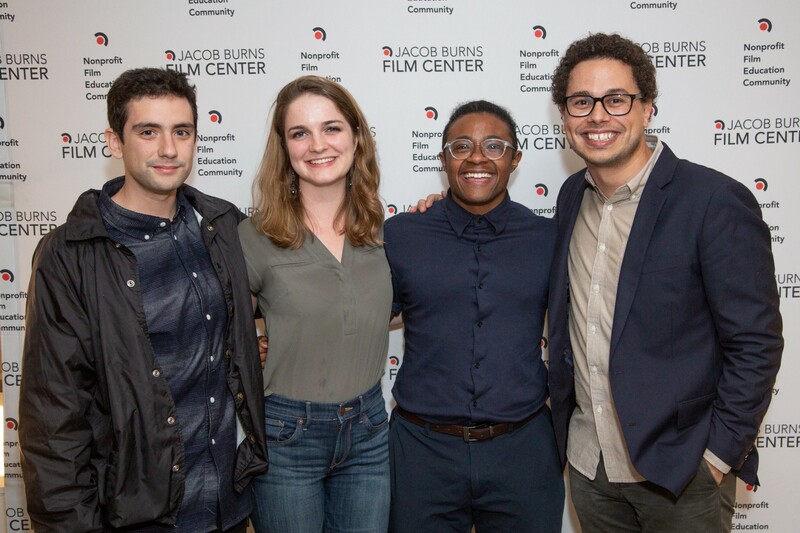 These shorts were produced within the Creative Culture program — a collaborative community that connects emerging filmmakers to one another and to a creative career. After college, I spent a chapter of my life living in NYC scrambling to pull together enough people and gear to make small film projects. There was something incredibly inspiring about witnessing people coming together, usually in their own free time, to build a story. Together, we worked like a single machine. I really cherish that time from my past and those experiences of true collaboration. It is that philosophy that our fellowship program is built from. This year, two fellows from our program, Crystal Kayiza, and Matthew Puccini, had their short films selected at Sundance. All told, our fellowship program produces 16 short films per year and Sundance receives somewhere around 9,000 shorts submissions. So we were very fortunate to be selected. Matthew’s film LAVENDER played as part of the first day of the festival — which is quite prestigious. The real surprise though came the night before the fest when he finalized a deal for the film with Fox Searchlight. Witnessing the Fox logo playing beside our Creative Culture logo at the premiere was surreal. A film project invited into our fellowship program as an idea just a year earlier had been acquired by a major studio. It was a humbling testament to the value and potential of our collaborative community. I don’t know if I have a funny mistake! I remember being much younger and attending a film screening with friends. The group of us did not love the film. We were not vocal about it during the screening but I think our body language and exchanged glances were observable. After the credits, the filmmaker was introduced to the stage and stood up in the row behind us. It was terribly embarrassing. I think it taught me two things. First, as you grow into an industry you are increasingly going to be surrounded by the people that compose it. And second, much more importantly, making a film takes an impossible amount of time and effort. So if a film is not your cup of tea then maybe just keep that to yourself and celebrate the hard work that went into it nevertheless. When selecting film projects, we look for stories that are underrepresented or not yet told. That is, of course, an incredibly subjective thing to write. There is an expansive history of films and filmmakers that many of us do not know frankly because those films and filmmakers were never introduced or celebrated in our circles. With Creative Culture, we try to do our part to expand the breadth of stories celebrated in film by supporting and infusing into the industry narratives that are more representative of the people in this country. By selecting these film projects, we inevitably champion an inclusive group of filmmakers hailing from across the country and around the world. Kerry LeVielle was a student of mine in an Introduction to Filmmaking course I taught four years ago at Purchase College. She was brimming with potential but was only just learning the fundamentals of making movies. Credit to Kerry, she stayed in touch in the subsequent years with an eye on applying to our fellowship program. And she got in. Within our community, Kerry made two poignant narrative shorts and honed her artistic voice. This year, she was awarded an esteemed fellowship with Sundance where she will be mentored by an established filmmaker and develop her first feature script. In an incredibly short window of time, Kerry has gone from making her first films, bypassed film school, and has arrived as the filmmaker to keep an eye on at the professional level. I believe that Creative Culture played a meaningful role in her emergence. 1. Empathy: As we all know, we’re in an incredibly divisive time. Film is an empathy machine. I think we could all do with a little more understanding of what life is like from another person’s perspective. 2. Representation: Film and television reflect back to us a version of the world we live in. The problem is, the world we see on the screen misrepresents the one we see surrounding us. Seeing more communities represented in film and television increases our understanding of other cultures while allowing for further recognition of universal experiences we all share. 3. Possibility: Limiting who was empowered to make films limited the evolution of film as a medium. With more representation in the film industry, we invite a renaissance in filmmaking and an exhilarating next chapter of cinematic innovation. 1. Give Jobs: If we want change then we have to put our money where our mouth is. We need to give professionally paid opportunities to all people regardless of their race, gender, creed. And this change needs to happen at all levels. The next generation of artists needs a chance. And that opportunity will be given by a more inclusive community of gatekeepers. 2. Take Risks: We need to be open to new things. It is not about making films in spite of our differences but rather making films based on the beauty of our differences. The spectrum of stories and the styles in which they will be told is infinite. We should welcome such an expansion of storytelling. 3. Let the Paradigm Shift: Those of us with influence, ranging from studio executives to fellowship program directors, should not fear change. The resistance to change by those comfortable is an undeniable obstacle. Make room for change to happen. Relinquish control and watch our industry bloom. For me, leadership is defined by modeling behavior for those around you. In Creative Culture, we are built upon a philosophy of collaboration over the competition in the film industry. On that foundation, we construct a supportive community that rewards hard work and creative risk-taking. But this experiment cannot thrive without buy-in from every individual. As a leader in this community, the most important part of my job is demonstrating what buy-in looks and feels like and how, by doing so, our community becomes a network of professional creatives walking locked in arms into the professional field. 1. When telling stories, make it personal. Base from truth. 2. Make work that matters. Film has the extraordinary ability to make real change. Be part of that. 3. Community eclipses the individual. Collaborate with peer filmmakers. Lift each other up and you will all rise. 4. Filmmaking is like playing a musical instrument. It takes time to get good. So enjoy the process. I cannot help but thinking of how divisive things are these days. It is easy for each of us to exist within our individual world view and surround ourselves with those who agree with us. So much of this is reinforced online where we curate our own customized echo chambers. If I could inspire a movement it would be one that connects people of different backgrounds together in real space. Last summer, I spent time helping to reopen a small cinema in rural Mackay, Idaho. This was a community that had as much trouble fathoming my daily life as I did theirs. We were not politically aligned. Still, we worked together on this movie theater and along the way talked about absolutely everything. This experience left me with a complicated understanding of a community that I previously only had a two-dimensional view of. I found it tremendously enlightening. It is an experience I would wish for everyone. For a long time, I was focused on being the hero in my journey. I directed films in hope of breaking through and finding some improbable way of making filmmaking my daily routine. At the outset of creating the Creative Culture, I switched gears and tried focusing my energy on championing others instead. I have spent nearly three years doing whatever I can to help our filmmaker fellows realize their creative potential and emerge as professional filmmakers and vital storytellers. In a supportive role, I have found exponentially greater fulfillment in life than ever before. I have built and, more importantly, became part of a supportive community. And I have made lifelong friendships. And, to boot, I have made filmmaking my daily routine. Choosing to be a supporting character has been one of the best decisions of my life. Andrea Arnold, Wong Kar Wai, Donald Glover, Agnes Varda, Spike Lee, Hiro Murai, Tarell Alvin McCraney, Yorgos Lanthimos, Lena Waithe, Kelly Reichardt, Jordan Peele… I guess probably Spike though because when we were done talking film we could spend hours lamenting the state of the New York Knicks.